Does My Resume Help Me…Or Hurt Me…? 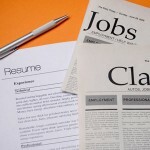 Are you the right candidate for the job…and if you are…does your resume clearly show that? What makes a person stand out on paper as having all the right skills and look like they have all that it takes to be “the one”? Starting your job search with a great resume can definitely make or break your chances of being invited for an interview. Without the interview, there’s no chance of getting the job offer, so it all really starts with the resume you are using to represent your skills and background. There are several key things to remember when organizing and preparing a new resume that will increase your rate of success. These key things have changed over the years. The days of a 1 page resume are over. Too much technology and too many multi-functional job titles make it nearly impossible for a technology professional to keep his/her resume to 1 page. Trying to do so will ultimately hurt your chances when looking for a job. At the same time though, the long 10+ page resumes that tell your whole life story have also started being tossed in the trash without a second glance. I’ve actually had a hiring manager tell me if I send him a resume over 4 pages long that he is going to delete it and move on to the next person. There is definitely a fine line between a good resume and a great one. 1. Name and contact info – this should include your full legal name, 2 contact phone numbers, and your email address. If a hiring manager can’t get a hold of you when they need to talk with you, they will just move on to the next person. 2. Summary – Brief (1 to 2 paragraphs) intro that offers an overview of your professional experience and skills. Don’t include every single thing you have EVER done in this summary. Try to focus this section on your most recent technical skills you’ve achieved in the last couple years as they relate to the job you are seeking. 3. Skills – This section is (in my opinion) optional. If you clearly and properly explain your skills, as they relate to each job title, in your “Experience Details” section as I recommend below, then you really don’t need this extra skills list. Some people like to have it and I don’t really think it matters either way, so I’ll leave that decision up to you. Just be aware that you NEVER want to include skills anywhere in your resume that you can’t actually discuss in a professional interview setting. 4. Experience Details – This is where you need to list your truly detailed experience chronologically by company beginning with your most recent position. It is important to include the dates of employment, company name, and your actual job title. If you prefer to keep your current employer confidential, it is typically acceptable to list the industry you work in and disclose your current employer later in the process. Write a detailed description of your experience under each company. You must include what technology you worked with and in what way you worked with it specifically. I can’t stress this enough. So many people list their skills in a “Skills Summary” section and then never mention them again in their detailed experience section under the company where they worked with these skills. You will greatly improve your chances of an interview if the hiring manager or recruiter can clearly see where you used your technical skills and to what depth you used them. Expect to have 8-10 bullet points under each company, or each job title if you have been with a company many years and grew through the ranks in that company to higher level positions. Do not lie, exaggerate, or make up things on your resume. Expect an interviewing manager to ask you about all the skills you have and projects you detailed on your resume. If you can’t speak to the experience/skills you listed then you should reconsider having that skill listed in your resume at all. Providing 8-10 bullet points per job title should be sufficient to accurately describe your job function and skills/technology used. 5. Education – This is pretty self explanatory. College you attended, degree you earned, and any specialized industry relevant certifications you have obtained. If you do not have a college degree it is still recommended to list any college you have attended and what you were pursuing. It is recommended that you list any social/academic organizations under your Education section such as: fraternities, sororities, clubs, sports, etc… These things may not be a direct link to your technical skills, but they could influence a hiring decision if the manager happens to be a member of the same organization. 6. References – This section is also optional but my suggestion is you either provide references on your resume or don’t list the section at all. It is pointless to write “upon request” under a References section. Any manager will assume you can provide references, so either list them on the resume or leave this section off all together. Some people have few sections that are not necessary or not properly utilized. I would leave out any section related to Personal Hobbies or Lifestyle Choices. It is not useful to know you like horseback riding at sunset, or enjoy hiking in the Himalayas. It is not appropriate to list things about your personal life on your resume including marital status, kids, dogs, birds, religion, ethnicity, etc… I have seen ALL these things listed on resumes before (seriously…not kidding), and it baffles me every time. This can hopefully serve as a guideline to what a resume should/should not be. It doesn’t take a resume writing service to develop a professional resume, and it shouldn’t take a literary scholar to properly write down your core skills/experience. Just take the time to think through what you want your resume to say about you, follow these guidelines, and you will be able to develop a concise professional resume that will position you for success in your search for a new career home. This is very helpful advice. As an HR Generalist who looks at several resumes a day it baffles me when there are typos — always spell check, and have someone else proofread your resume. Absolutely. I can agree that in this day and age there really is NO excuse for typos other than laziness. Before we send anyone’s resume to a client/hiring manager, it has been thoroughly screened for typos/errors and at least 2 people have proofread the resume to double/triple check its accuracy. There is only 1 chance at a 1st impression – let your resume be a great 1st impression by doing everything you can to ensure you are 1 step ahead of the next applicant.